This article is about the Quranic sura. For other uses, see Al Hijr. 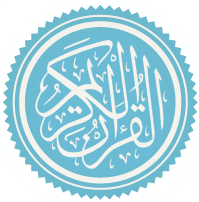 al-Ḥijr (Arabic: الحجر‎, "The Stoneland") is the 15th chapter (sūrah) of the Qur'an. It has 99 verses (āyāt). It is a Makkan surah believed to have been received by Muhammad shortly after the 12th surah (Yusuf), Muhammad's last year in Mecca. It is an early Makki surah, which means that its revelation to Muhammad occurred within the confines of the city of Makkah. Like the other surah of this period, it praises God. A quality of Makkan-Quran is that the ayat – or the verses – are shorter and the rhyme and writing of the surah is more efficient and quicker. Abdullah, A. (2011). Role of context and objectives of the Surah in shaping the episodes of the Qurʼanic narrative: the narrative of Lot as an example. American Journal of Islamic Social Sciences, 28(4), 31-64. Boullata, I. J. (2000). Literary structures of religious meaning in the Qurʼān. London: Curzon Pr. Haggar, D. A.Repetition: A key to qur'anic style, structure and meaning. (Order No. AAI3447474, Dissertation Abstracts International, A: The Humanities and Social Sciences, 1661. Neuwirth, A. (2000). Referentiality and textuality in Sūrat al-Hijr: Some observations on the Qur'ānic "canonical process" and the emergence of a community. (pp. 143–172). Curzon. Ohlander, E. S. (2010). Qur'anic studies. (pp. 81–93). De Gruyter. This page was last edited on 4 March 2019, at 18:37 (UTC).